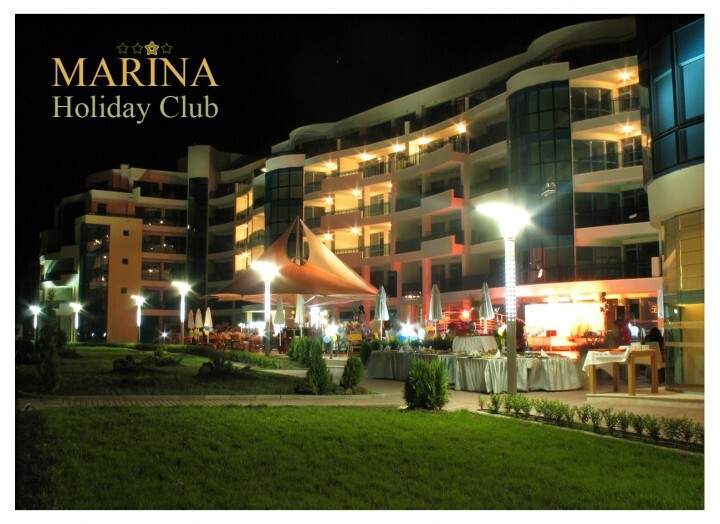 Marina Holiday Club is a four star luxurious complex, located at the entrance of the town of Pomorie, 100 meters from the beach in a region combining forest and sea both. The complex consists of 103 two and 40 one bedroom luxury furnished apartments. Each one is equipped with air-conditioner, Cable TV, Internet, Telephone and kitchen equipment. The complex has a pool with children&apos;s section, restaurant, pub, lobby bar, cocktail bar, pool bar, Gym, SPA centre, beauty saloon, medical and business centre, mini golf, shops and a big parking.